Attention students, staff, faculty, alumni and fans of the University of Oregon: Now there’s an app for that. A free UO-themed application for the iPhone is now available for download from the Apple App Store. 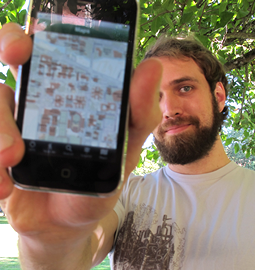 But the thing that sets the new app apart from other university apps is its intensive use of mobile mapping technology. In addition to a detailed, searchable campus map, there’s a GPS feature that shows a user where he or she is on campus; maps showing accessible routes, bicycle routes and the safest routes at night; parking and transit maps; and aerial map overlays with images from 2008, 1947 and 1913. In addition, there’s a “Walk Me” feature that plots a route anywhere on the 295-acre campus, including estimated walking time — a tool that will likely prove useful for freshmen still finding their way. The app was developed over the summer by students and staff in the InfoGraphics Lab in the Department of Geography in conjunction with the Office of Communications. Dana Maher, a graduate student in environmental studies and planning, public policy and management, was the lead programmer of the app. He had been working in the InfoGraphics Lab on another project when the app project was hatched. Originally, the plan was to create an app for the Week of Welcome, the events and activities that take place the week before fall term begins. 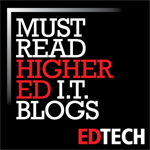 But as Maher and other team members began developing campus maps for the project, they realized they had the seed of a full-blown university app. About that same time, there was significant interest on campus to create a UO themed iPhone app, said Ken Kato, assistant director of the InfoGraphics Lab. The UO could have hired an outside company to develop an app, but the result would have looked like every other university’s app, and it wouldn’t have the rich mapping capability of the UO app, Kato said. “We have a lot of academic pride in the maps that are done here,” he said. Maher came into the project with a background in physics, environmental studies and public policy, not as a geographer, Kato said. But he was able to combine those skills with the work done in the InfoGraphics Lab, finding ways to use the deep trove of campus mapping data developed over the years.